It’s no secret, we love to eat. And while 99% of the time you’ll find us posting about our various, in-office meaty adventures, we also make time to enjoy the sweeter treats in life. So last week, when there was a rogue truffle floating around the D’Artagnan kitchen, we put it to good use by mixing up a batch of Black Truffle Ice Cream. 1 day before you plan on making the custard, cut the black winter truffle in half and place in an airtight container with the whole eggs. Keep this in the fridge overnight. The black truffle aroma will permeate the eggshells, scenting the yolks. When ready to make the custard, remove the truffle from the egg container, and using a truffle shaver, fine mandolin or very sharp vegetable peeler, shave one half of the truffle into paper-thin slices. Reserve the other half for another use (like making truffle honey! see below for directions). Preheat oven to 375 degrees F. Prepare 2 sheet pans with silpat mats or parchment paper. In a small saucepan over medium flame, melt truffle butter, sugar, and truffle honey, stirring occasionally. Once the sugar has completely dissolved, transfer to a small bowl. Add flour and salt, whisk until smooth. To make truffle honey: Using a microplane grater, grate ¼ – ½ of a black winter truffle. 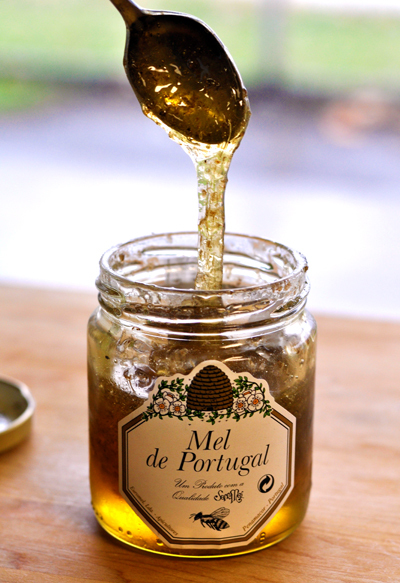 Carefully stir the grated truffle into a new jar of honey (we used a 4 ounce jar of Mel de Portugal) without getting sticky honey all over. A chopstick works well for this task! We added a few extra slices of truffle on top before closing the lid and putting into the fridge. A few days later – et voila – truffle honey! Besides in the Florentines recipe, truffle honey is delicious on a cheeseboard. Try it drizzled over hard, aged cheeses like a cave-aged gruyere or manchego, or with funky bleu cheese, like Roquefort or Fourme d’Ambert. 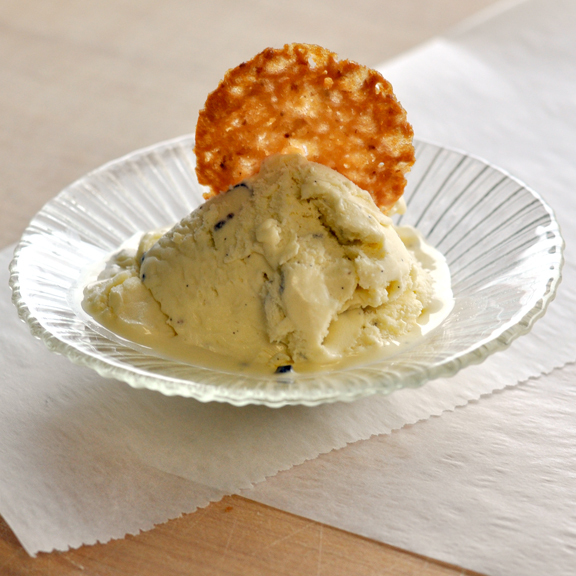 When will there be a foie gras ice cream recipe? Now that’s a flavor we can get behind. Foie gras milkshake, foie gras ice cream sandwich, foie gras profiteroles with sauternes sauce. Yes, please!